Feeling overwhelmed with trying to remember things? Have issues with sticky notes and little slips of paper that keep you feeling like your brain is scattered all over your office? You aren’t alone. Keeping it all together in this lightning-fast digital age is nearly impossible. I wanted to tell you a little bit about one of my newest favorite tools to help keep you from information overload. Have you ever wanted a digital assistant? I would love one (if only!). I’d also love a maid, a cook, and a nanny to help with keeping up in real life… but that’s for another post. Springpad might not do your dishes or fold your clothes, but it certainly helps keep you from forgetting about things that are important to you. 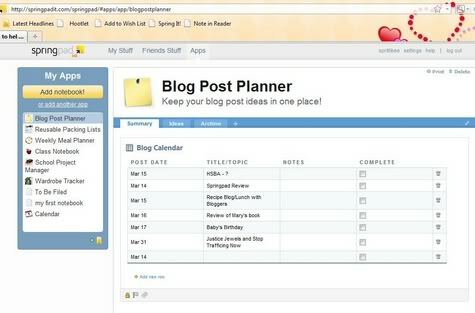 Springpad is a digital organizer…a memory bank… an ‘external hard drive’ for your brain. It helps you organize and remember things. 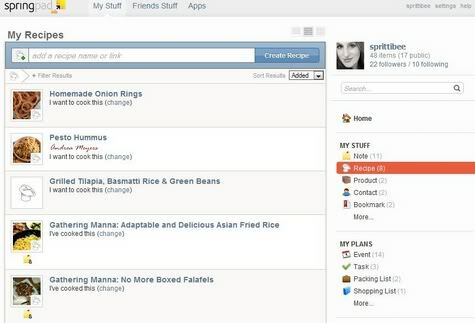 *That amazing recipe you saw and want to recreate (and a menu planner calendar you can drag and drop them on). *The gazillion notes you have stuck to every surface of your desk. *Events you don’t want to miss. *Movies you want to watch. *Products you want to remember to buy. *Websites you want to revisit. *School projects to complete or links for school research. *Cute things the kids say for their baby books. *Blog post ideas you want to write (and even a calendar to organize them on). *Online coupons or deals that you want to take advantage of. I could go on and on. Not to mention that everything you save in Springpad has a reminder function (which allows you to have your notes email you before your deadlines). Wow. Did you hear that? Your own NOTES emailing you! Sounds a LOT like a personal assistant already, right? A FREE one, at that! Yep – I said free. Springpad also released an iPhone app recently and allows you to keep track of your ‘Stuff’ (as they so affectionately call it) from literally anywhere. 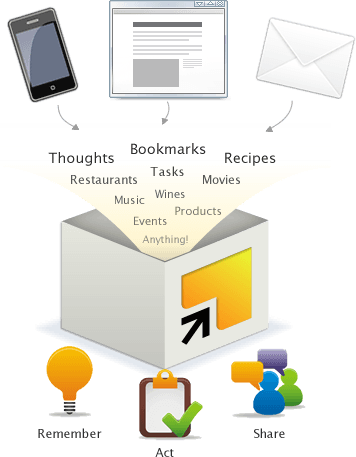 It also automatically organizes your information in to categories that make it easy to locate later, allows you to tag things, and has many applications you can use to work with (or even print) your data once you have it entered. Want to hear something REALLY cool? The iPhone App offers a “barcode scanner” that utilizes your phone’s camera to scan objects and add them as product links in your ‘Stuff’. You can keep track of things with barcodes, typed notes, GPS tracking (for tagging restaurants and businesses in your area), or pictures (your phone’s camera). Even cooler is that Springpad automatically populates things when you use it (which means less typing and work for YOU). It adds ingredients from your recipes that you “spring” from online websites – and usually ads pictures to your products and movies… etc. You have to try it to see for yourself. Seriously. Go back after you read this article and click on all the links to learn more from the pros at Springpad. If you have a group of information that needs to be categorized together, you can use the “Lists” feature and keep them in one place for quick access, too. When I went to Blissdom, I grouped my RE-USABLE packing list, my budget, my notes, my contact info, the hotel website, the Blissdom Conference website and agenda, local restaurants, directions, my wardrobe planner, and my grocery list – all linked in one easy-to-click group. As a list junkie and an aspiring organizer, I’ve really enjoyed getting to know Springpad. It has already helped me clean off my desk and I’m about to use it to organize my emails – you can email things in to your Springpad account if you send them from the email account that you used to sign up. I’m imagining how cool that will be when Morgan and I have our “secretary weekend”. When the boys go camping, she and I are going to clean my email boxes out. My 11 year old daughter is a super organizer and promised to be my digital assistant for two days if I threw in some popcorn, a chick-flick, a trip to Starbucks, and a few dollars. With her and Springpad on my side, I’m hoping that my digital overload will soon be over – or at least a lot easier to manage! If you are interested in learning more, comment here to let me know you are interested in joining me for a GoTo Meeting to get to know Springpad better. My friend Lauren at Springpad will show you how to use this amazing online service and answer any questions you might have. Disclaimer: This post is my opinion and was not paid for. However, Springpad did give me a donation towards my trip to Blissdom in early February 2010 as a partial sponsor and sent me some cool t-shirts and notepads to give away to blog friends and Blissdom attendees. I am interested and checking out links now!!! not sure if you already signed me up or not … but wanted to make sure my name was on the list! Thanks, girl! Yep, I'll be checking it out. 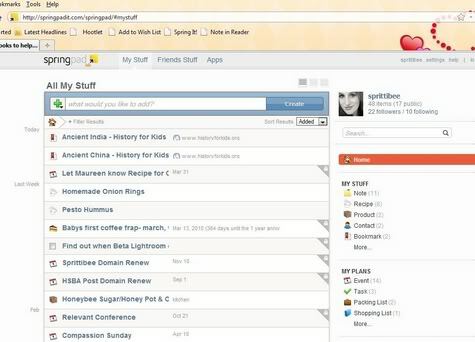 I still need LOTS of help keeping up with the social media side of online presence, but it looks like Springpad will help with my bookmarks, blog posts, book and/or product reviews (having an email sent to myself to remind me a review deadline is coming will be GREAT), online recipes and tons of other "stuff." Looks great, Heather ~ thanks for the info. I'll let you know when I've signed up! I'd like to understand Springpad better because so far, it doesn't thrill me. I don't care about the iPhone side of it, since I don't have one. I'm glad it makes you so happy, though. I have tried just about every planner out there, except this one, and it never seems to work out for me. I fly by the seat of my pants (er um skirt) lol It looks like a great way to keep it all organized. I spent almost all morning exploring the springpad site. It is wonderful! I think it has a lot to offer, but untangling it, setting it up and learning to use all the functions will be a time commitment for sure. Albeit a valuable time investment! I would welcome the chance to be a part of your Go To Meeting event. 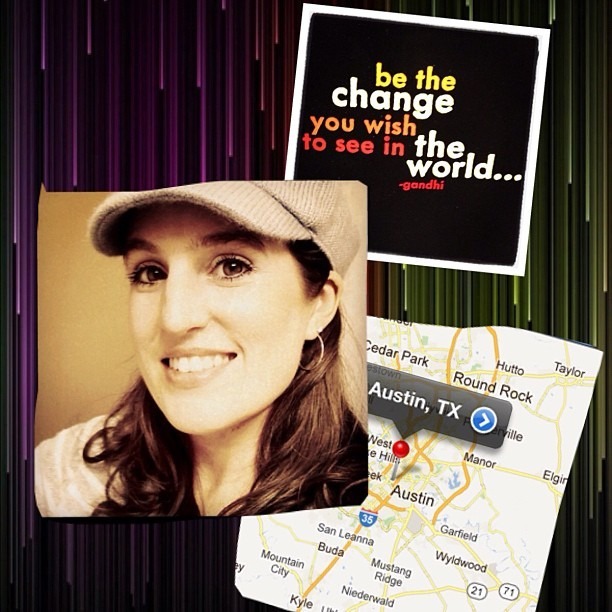 Great write-up Heather! I think you've officially become a Springpad Super User 😉 Let me know if any of your readers have questions, I'd be happy to help them out. Heather – Looking at your "my apps" page, where did you get the notebooks? 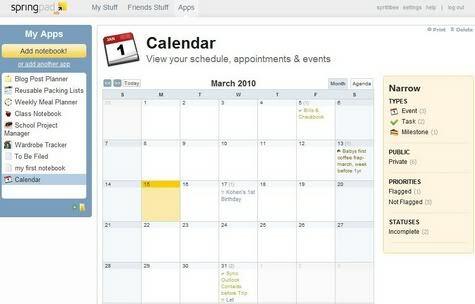 I am interested in the weekly meal planner & calendar but not quite sure how to create or springit!. Thanks!! Oh, how I needed this! I can't wait to sign up! Thanks for the great tip! OOH checking this out! Thanks for sharing girl!